As your child begins to grow up, there comes a point where you must make a pinnacle decision: — What school will you choose? A school should not only be an educational zone, but also a safe haven for developmental growth. It should encompass a combination of learning opportunities as well as the chance for creative expression. Joyous Montessori schools contain all of these elements. By using a Montessori curriculum, Joyous schools will provide your child with a balanced education. 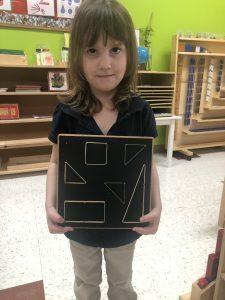 Unlike public school, a Montessori school provides an individualized approach. Your child will be surveyed to determine his/her personal needs. At Joyous Montessori, the highly trained staff are aware that all children are unique individuals, and some require more guidance than others. Through this form of schooling, you can rest easy knowing that your child will be taken care of to the fullest extent that he/she needs. The Montessori approach encourages critical thinking, giving your child a chance to form opinions and ask questions. With no rigid curriculum standards in place, the children are able to explore many different avenues of learning at their own paces. There is the option to work either alone or collaboratively. With the element of pressure removed from the classroom, the children feel more motivated to succeed. At our schools, parents and students alike advocate for our values and standards. Every day, the staff at Joyous Montessori creates a goal to see that the children reach their full potential. As a parent to a young child, it can be a nerve-wracking decision to select a school. We provide programs for infants as young as 6-weeks-old to students that are elementary-age. By offering such a wide range of programs we provide for the needs of the child throughout all his or her preschool years. The students develop fully in a safe and familiar environment, possibly from a very young age. Even though the setting is a classroom, your child will feel right at home and will be given one-on-one attention. The capacity is kept small so that no one ever feels left out or left behind. We believe that the schooling doesn’t end once at the school. With the Joyous Montessori approach, your child will be eager to learn and explore, even outside of the classroom. We hope to encourage them to ask questions and build off of their budding curiosity. For more information, select one of our four locations (McKinney, Lewisville, Fort Worth and Keller TX) and give us a call to set up a tour. We would be happy to discuss your child’s potential future here at Joyous Montessori.